Sadly, Activision’s second installment in the True Crime series is a big disappointment that begins with the storyline and ends with almost everything else. 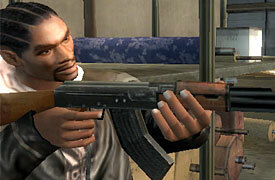 In 2003, True Crime: Streets of L.A. came out as Activision’s answer to the Rockstar Games Grand Theft Auto series. Although not as polished as some of the titles in the GTA series, Streets of L.A. made an impact nonetheless by adding new twists to this line of games. 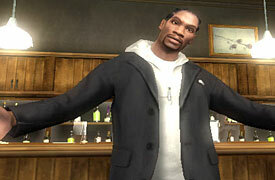 Streets of L.A. let the main character (Nick Kang) fight with various martial arts styles, led him on some unbelievably crazy missions such as one that pits him in a battle against some “SM freaks”, and even introduced rapper Snoop Dogg as a playable character if one was fortunate enough to unlock him. Sadly, Activision’s second installment in the True Crime series is a big disappointment that begins with the storyline and ends with almost everything else. The main character is Marcus Reed, a former gang member who is now a cop. He’s out to wipe out crime in New York City his own way and with reckless abandon. And if this doesn’t sound like the biggest rip-off of any typical action movie then I don’t know what does. In fact, True Crime: New York City doesn’t stop at ripping off movies as it seems to have borrowed ideas from every other free-roaming third person game ever put out onto the market. A great example of this is the gun fights. They seem to follow the same pattern as both The Getaway games and the Max Payne series. The ‘lock-on and shoot until they don’t’ move method is employed throughout this game along with the slow motion dive and shoot trick. And, much like the Getaway games, you’re pretty much told where to drive in the story mode. It is possible to explore the city in the story mode but there’s not much fun involved in doing this when you’re constantly being motioned to go a certain way. This coupled with the difficulty in controlling the cars makes driving more of a chore than an enjoyable element of the game. The graphics in True Crime: New York City are nothing new either. They’re actually reminiscent of older PlayStation 2 games with the blocky, grainy picture that is always present. Seriously, Grand Theft Auto III, which was released in 2001, did just as good of a job in delivering quality graphics as True Crime: NYC does. Be prepared to deal with a fair number of glitches throughout the game as well. There were several times when I’d be playing and True Crime: NYC would just freeze up on me, often when my progress hadn’t been saved for a while. Another glitch is when your character will just be walking along and fall right through solid ground and die. I may not be a tour guide for New York City but I’ve never heard of this happening. A couple of things that True Crime: NYC does manage to get right is the map of New York City and the soundtrack. The map represents a well done layout of New York, perhaps a little too good as they probably could have cut down on some of the time spent doing this and spent more time on developing other parts of the game. The soundtrack has quite a bit of good music from modern artists and even gives you the option of ranking the songs according to your preference. Unfortunately, cool songs, new music features, and an accurate map of New York City are not enough to save this game. The plain graphics, horrible glitches, mundane shooting, and task-oriented driving give plenty of reasons to advise against playing True Crime: New York City. There will be plenty of game options come this Christmas, so don’t be afraid to leave True Crime: New York City off your holiday wish list.